Wait until the scanning and disinfection completes. A reboot might require after the disinfection has been completed. 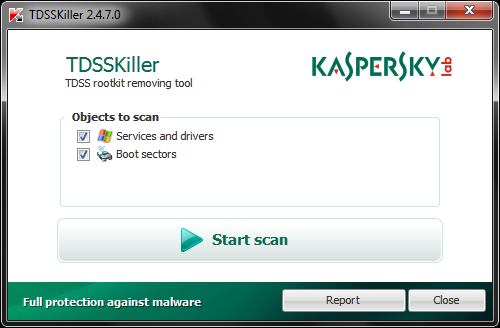 6,533 15,256 Kaspersky Lab <img src="https://www.oldergeeks.com/downloads/gallery/thumbs/kasperskytdsskiller_th.png"border="0"> Jan 18, 2019 - 12:50 3.1.0.26 4.84MB EXE , out of 18 Votes.